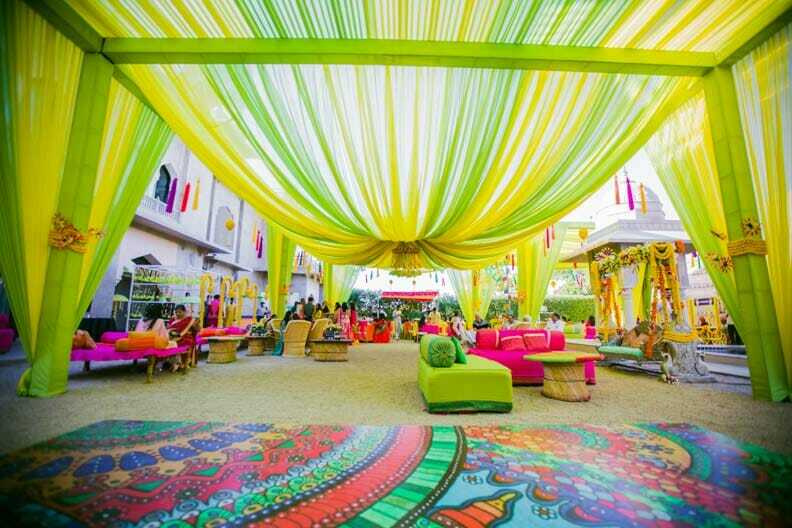 Indian weddings are known for their lavish decors, rich ceremonies, magnificent outfits and lot of merry making. 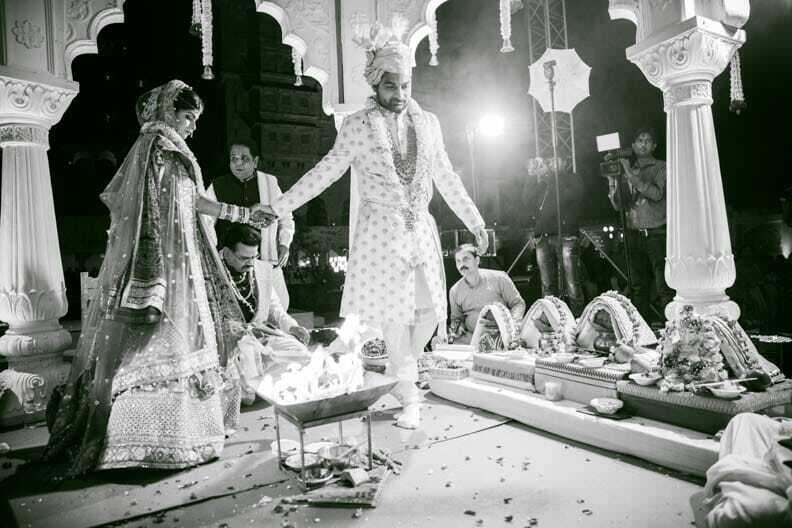 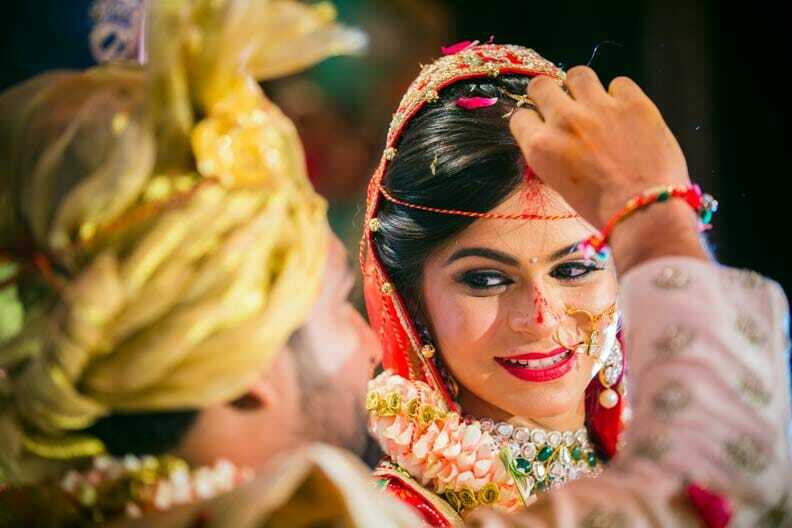 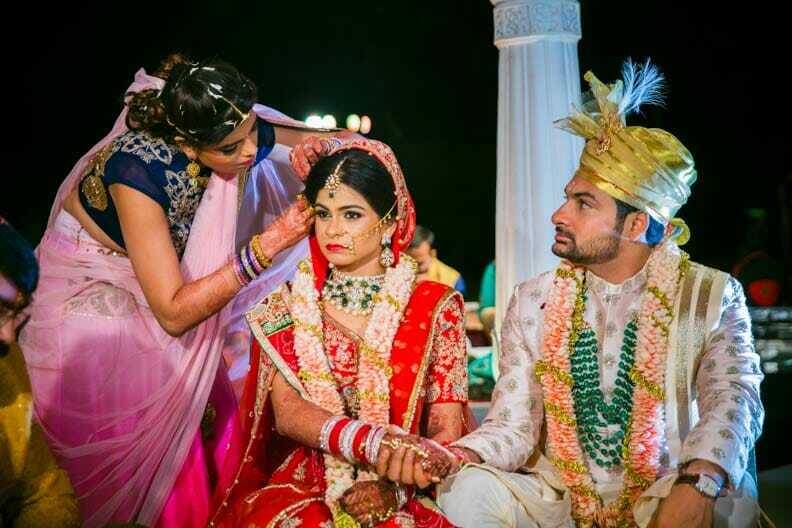 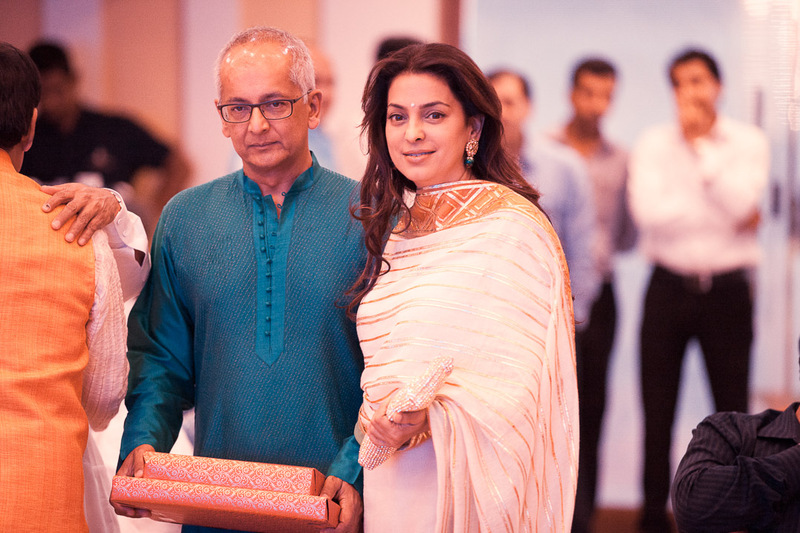 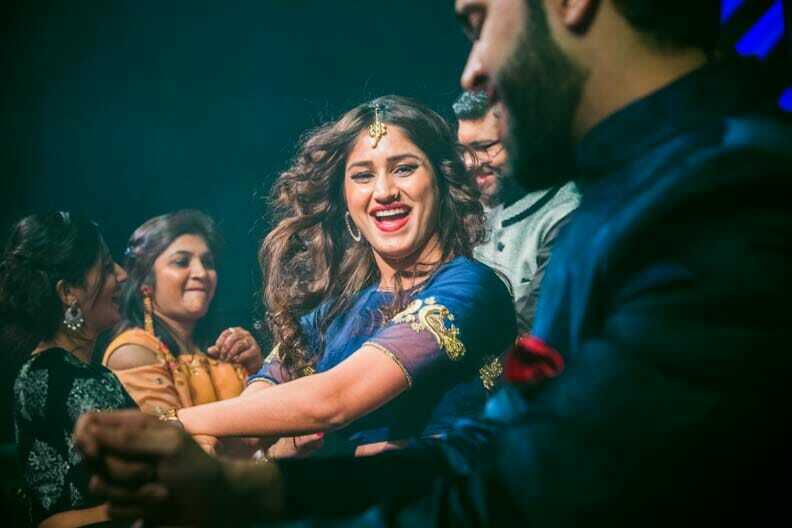 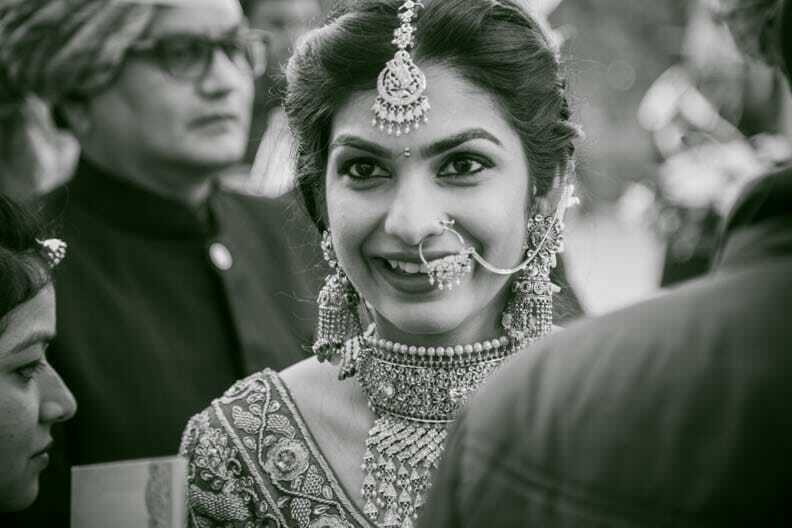 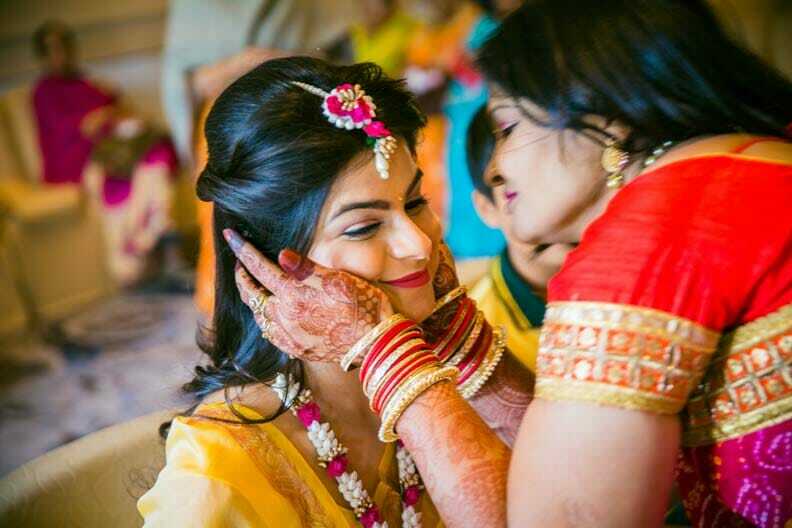 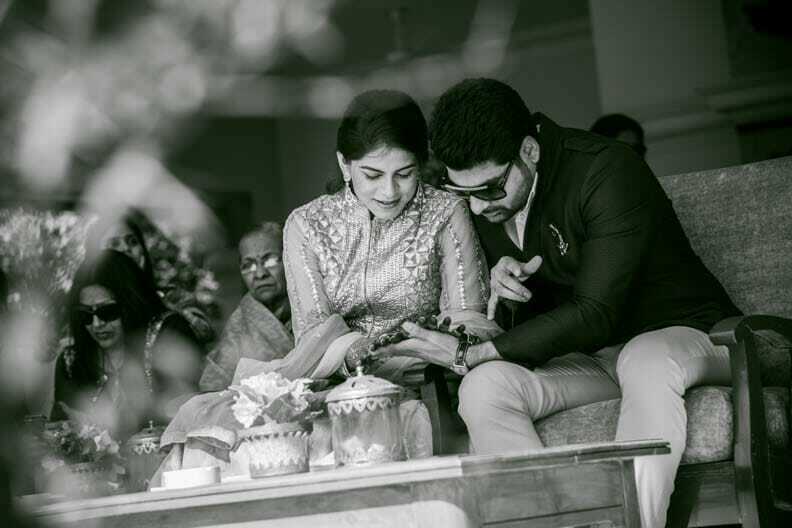 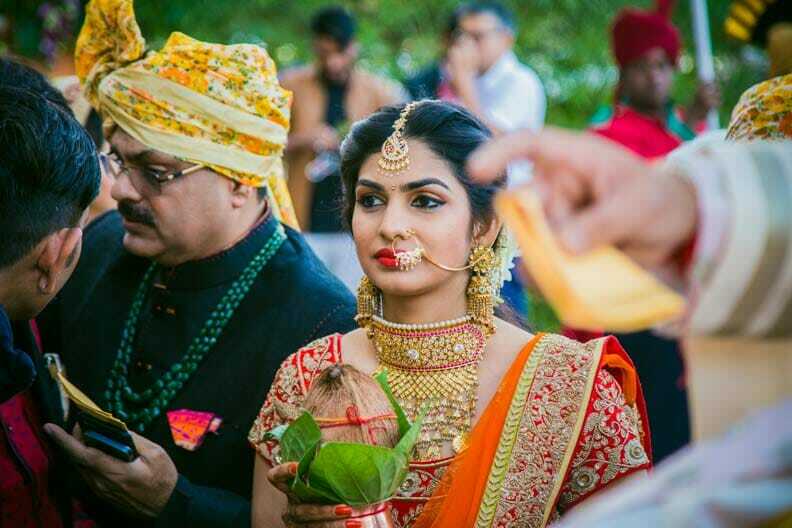 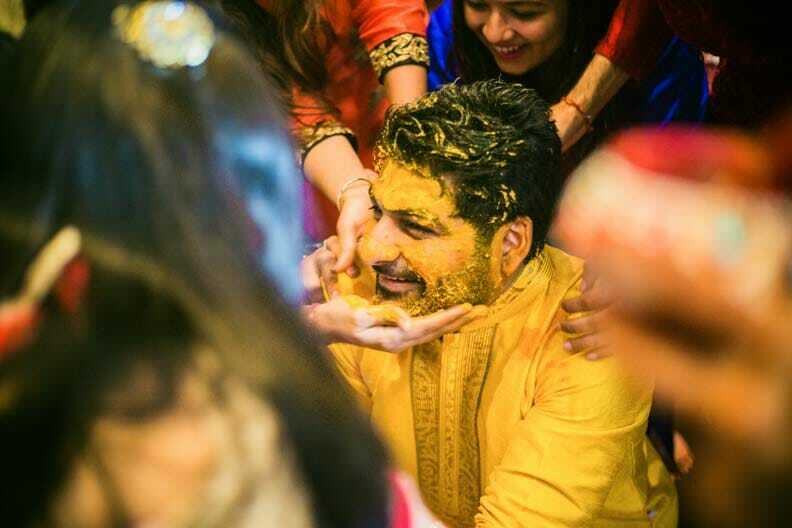 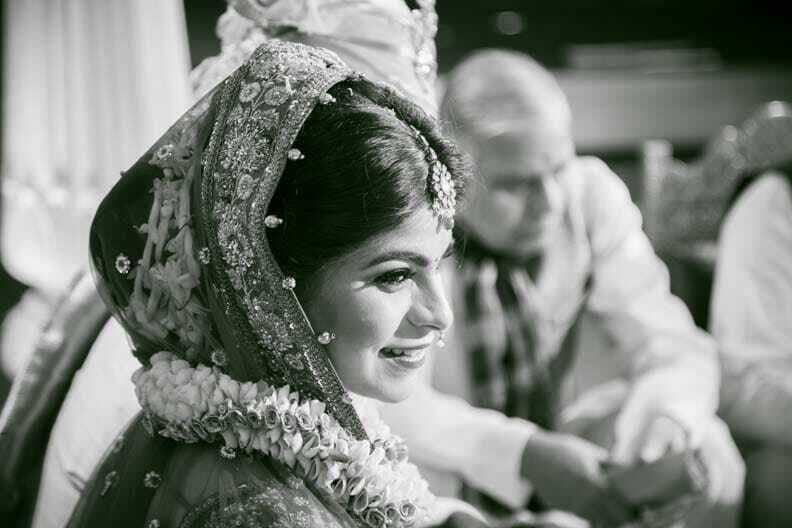 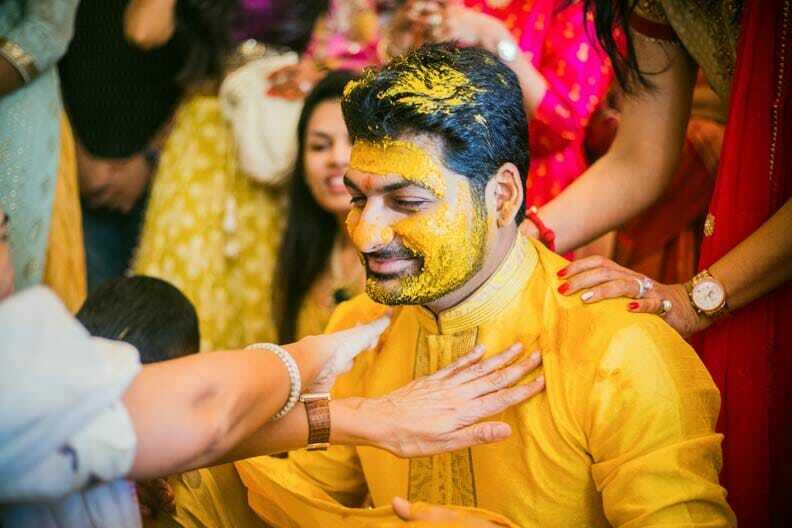 Marking a beginning of a new phase of life for the couple, weddings in India are a celebration of a lifetime. 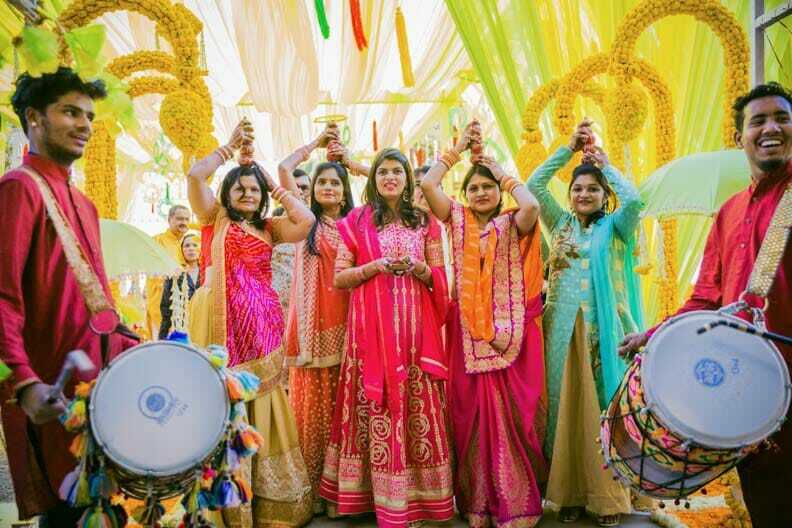 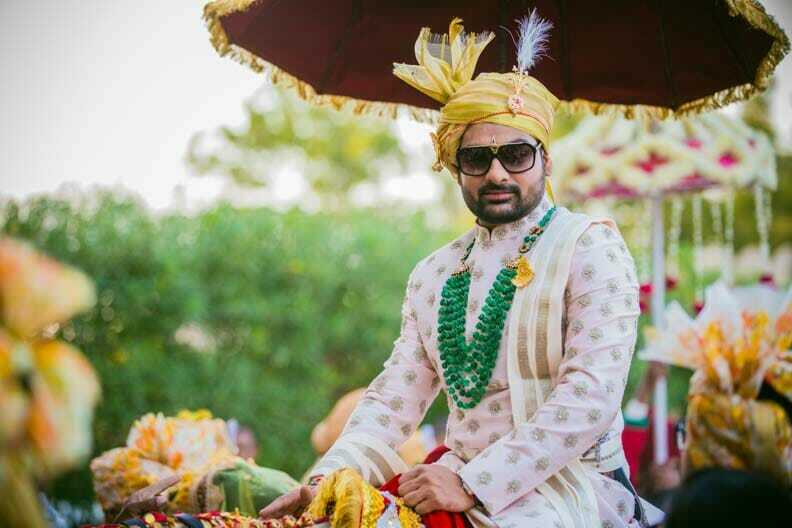 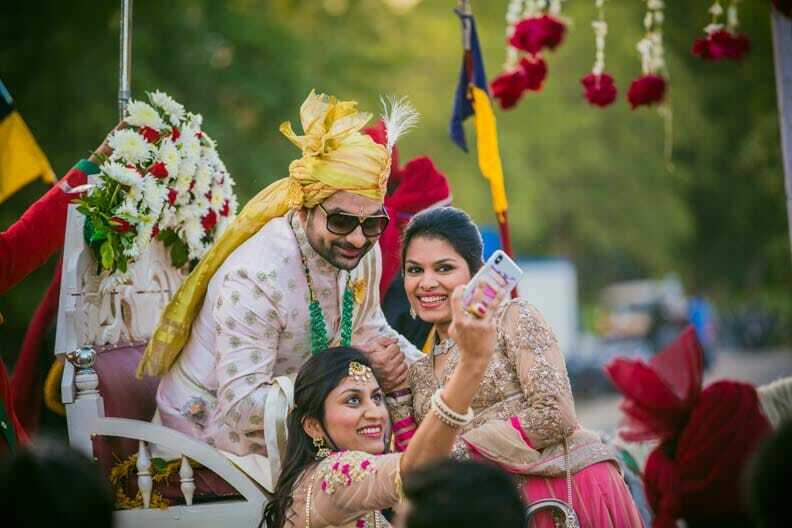 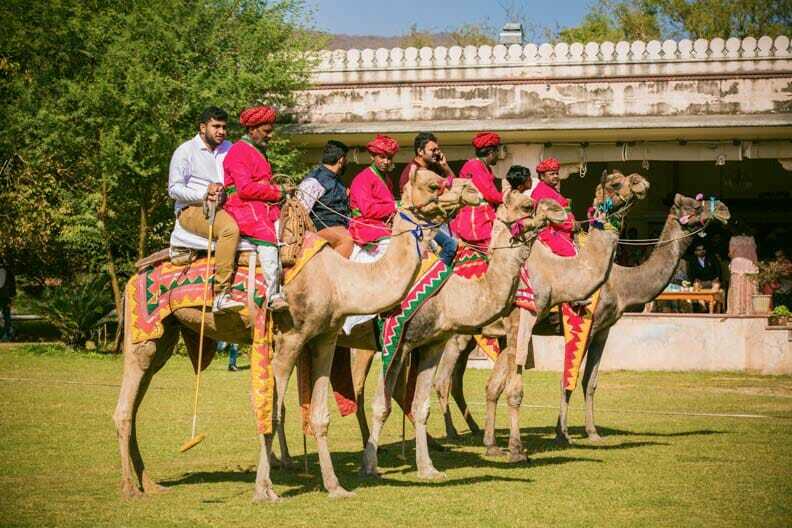 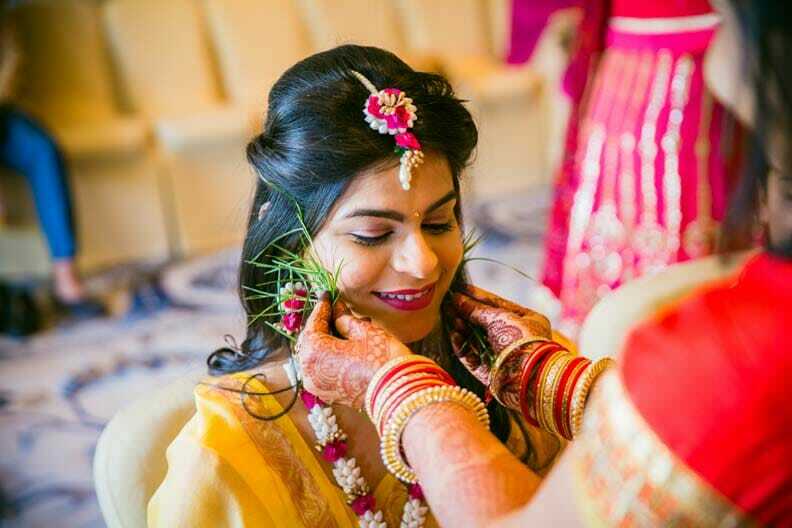 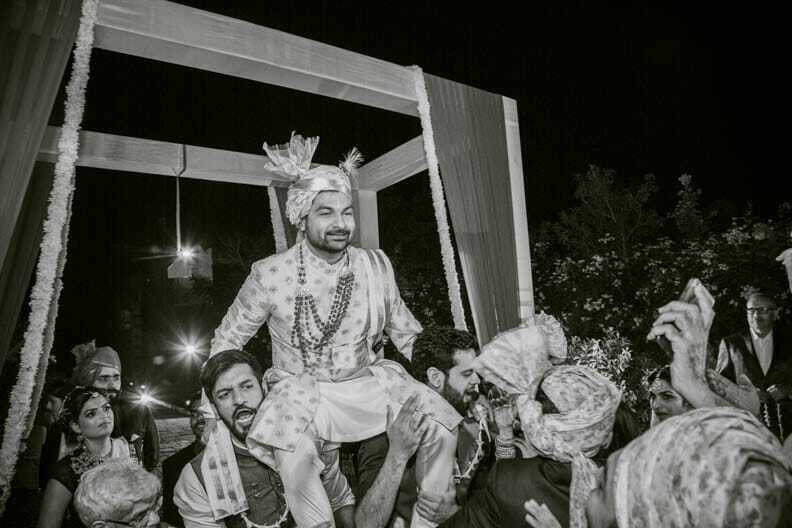 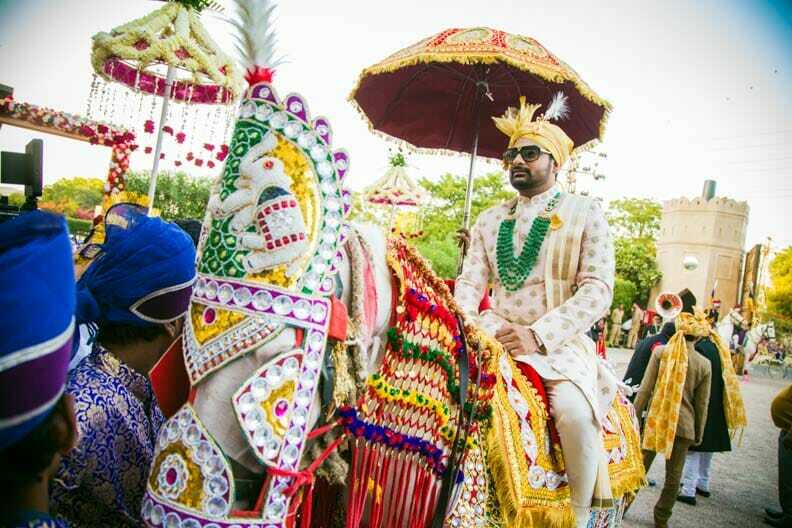 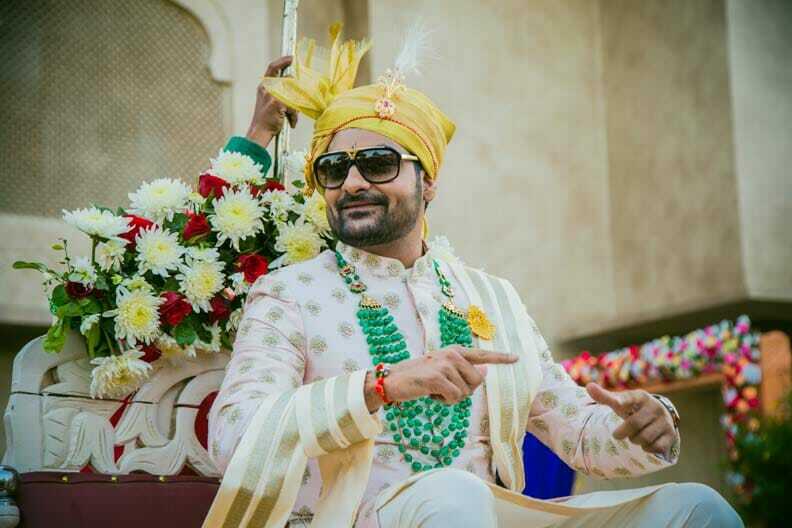 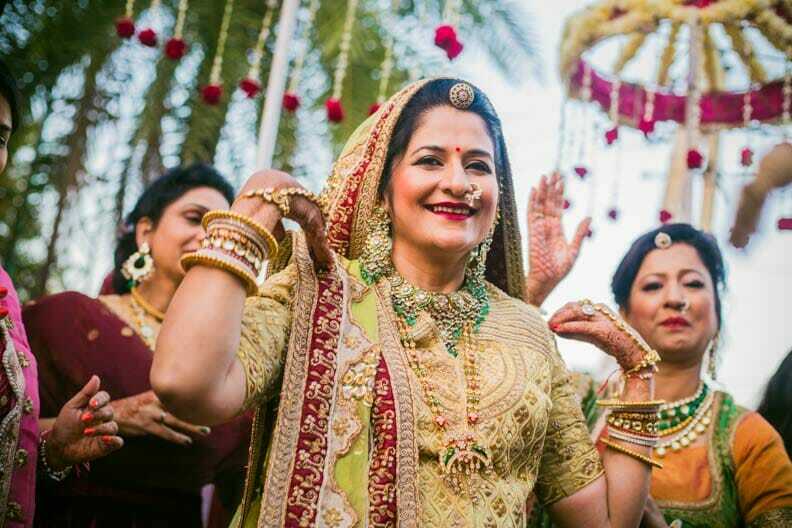 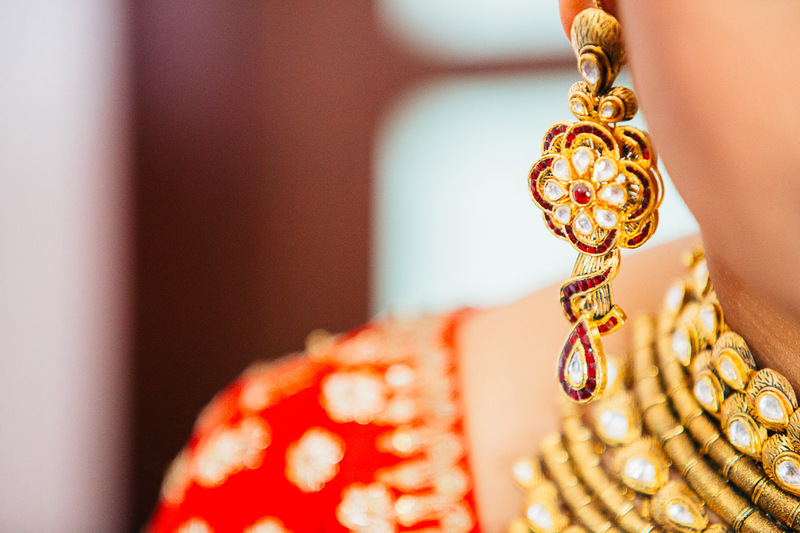 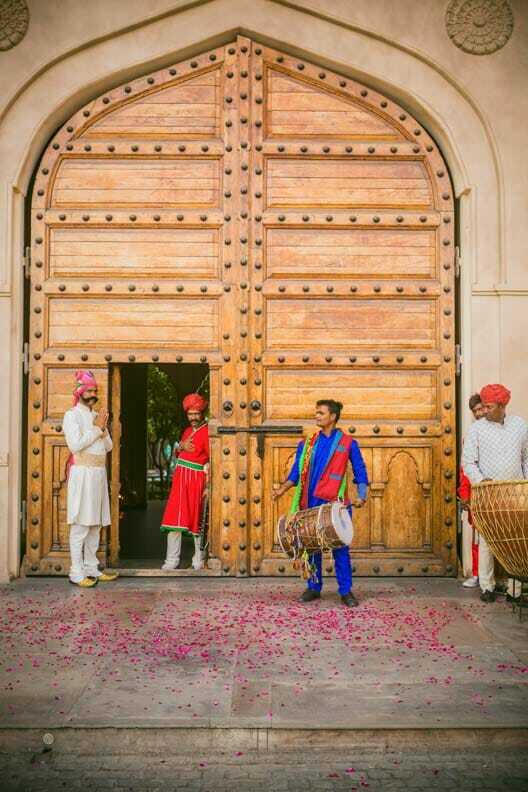 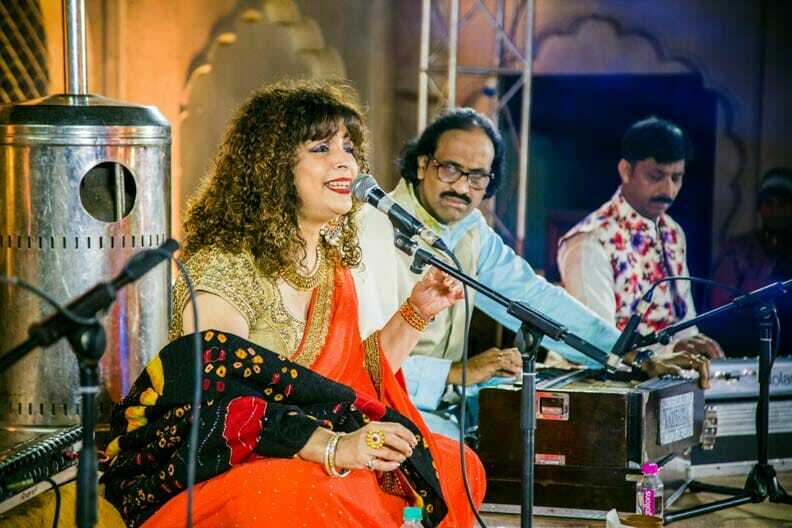 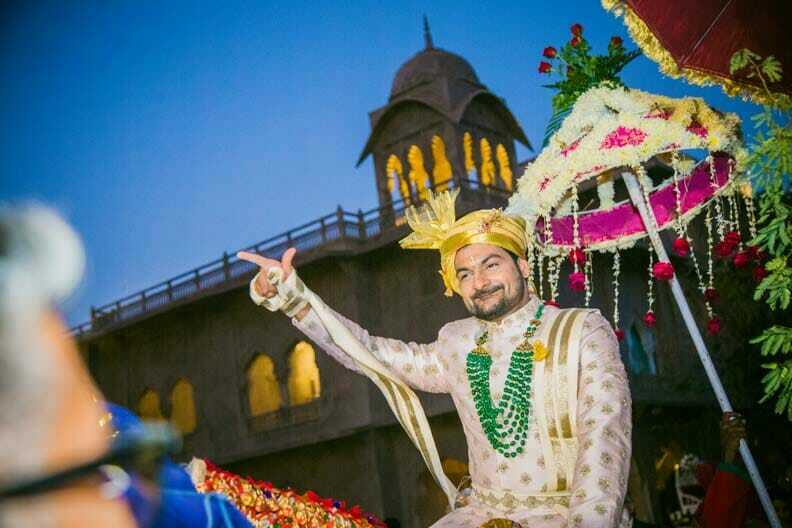 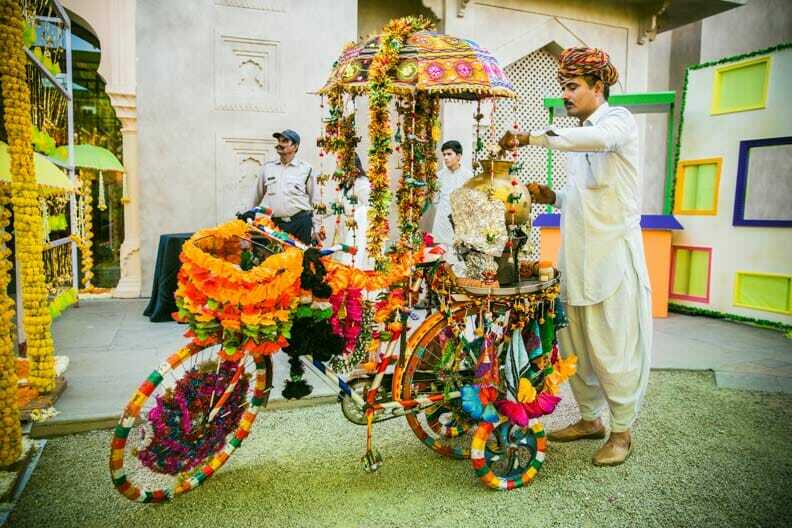 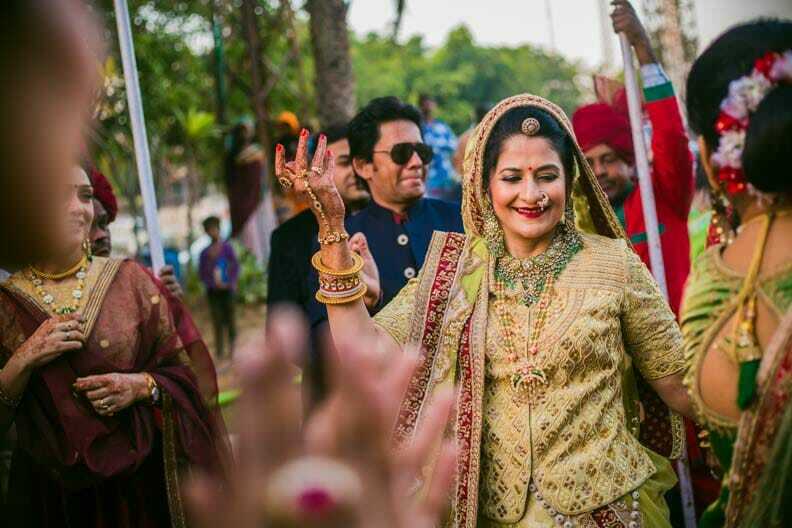 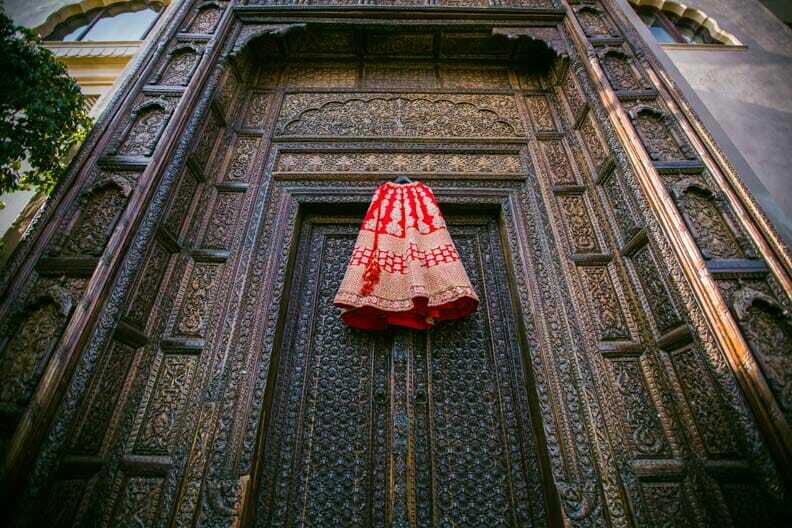 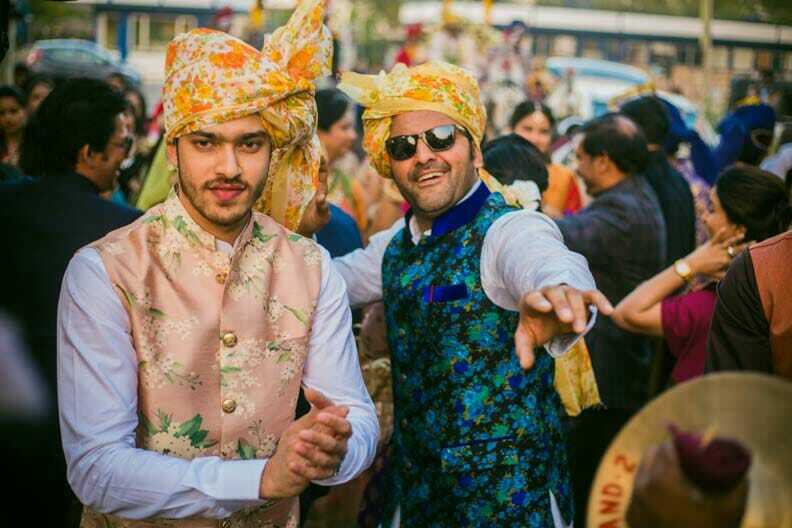 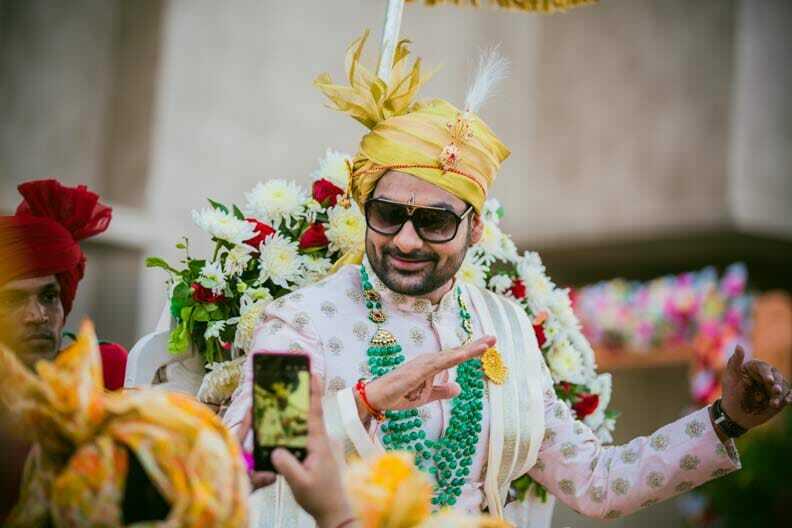 And when it comes to extravagance and style, Marwari weddings surpass all with the richness of their rituals, colorful attires, spectacular performances and food spreads. 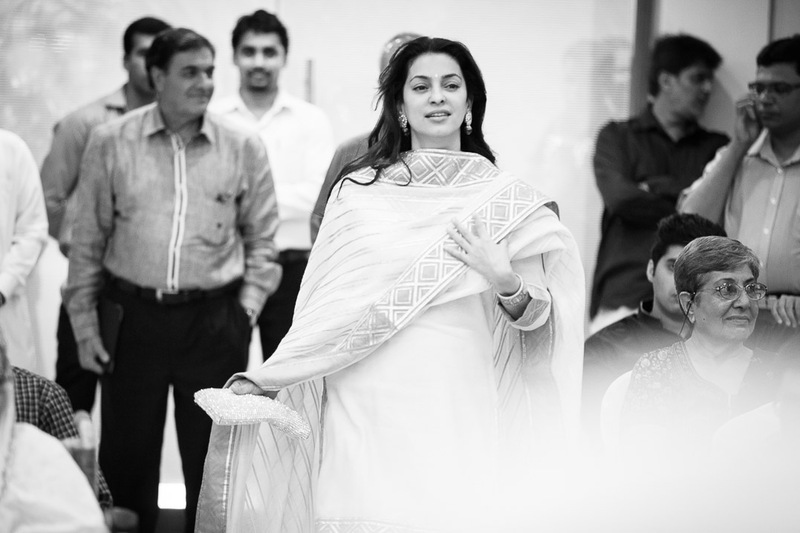 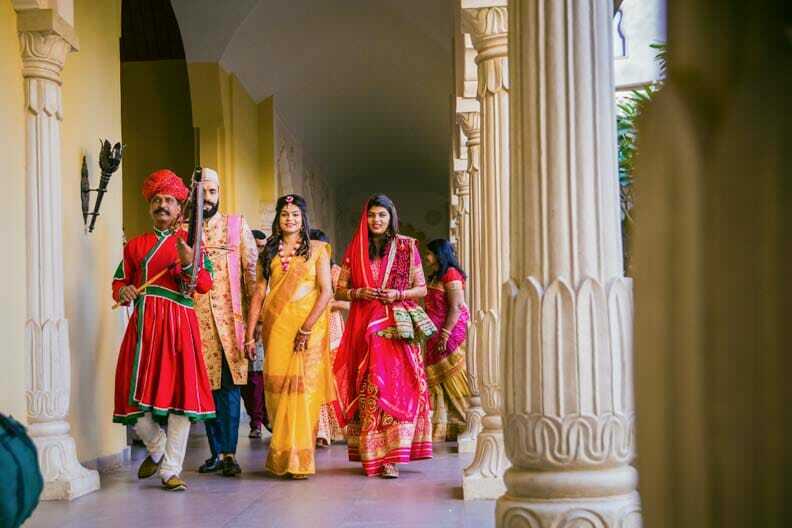 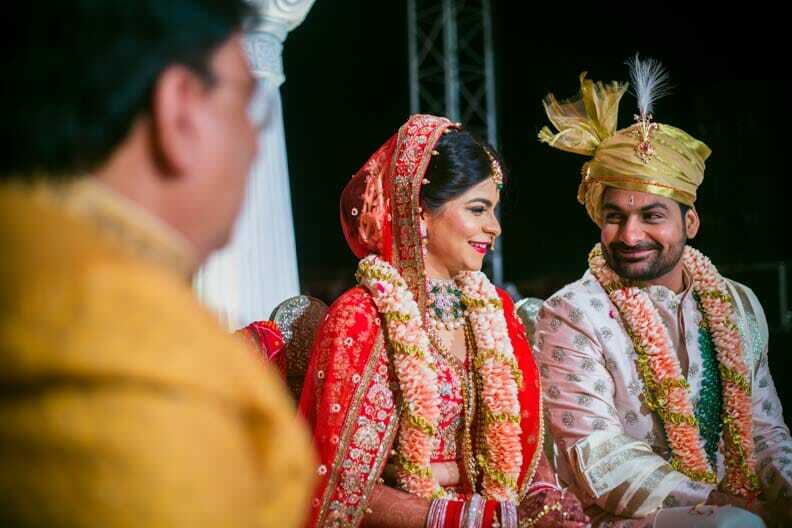 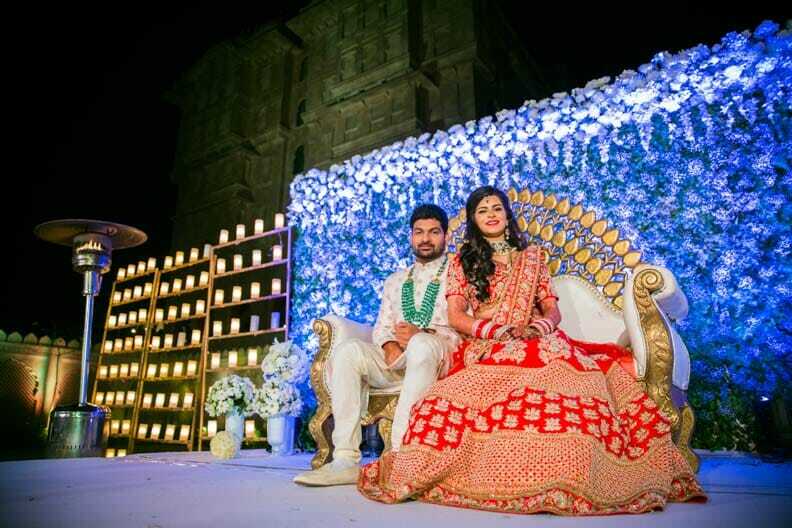 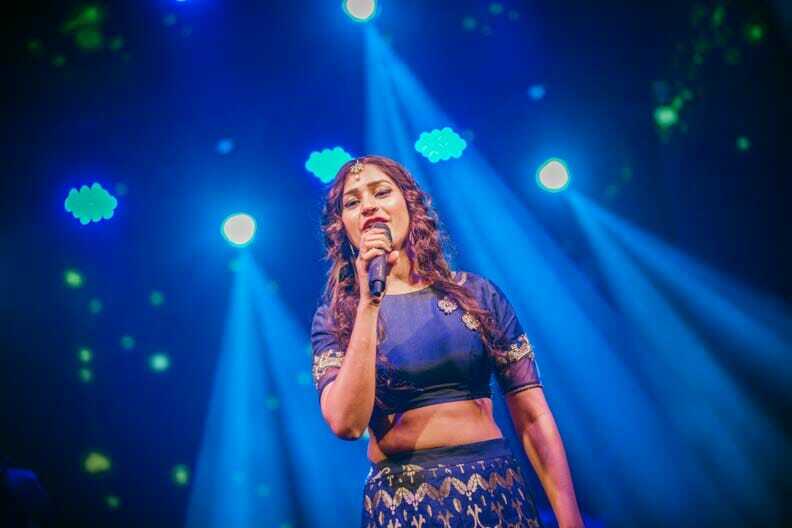 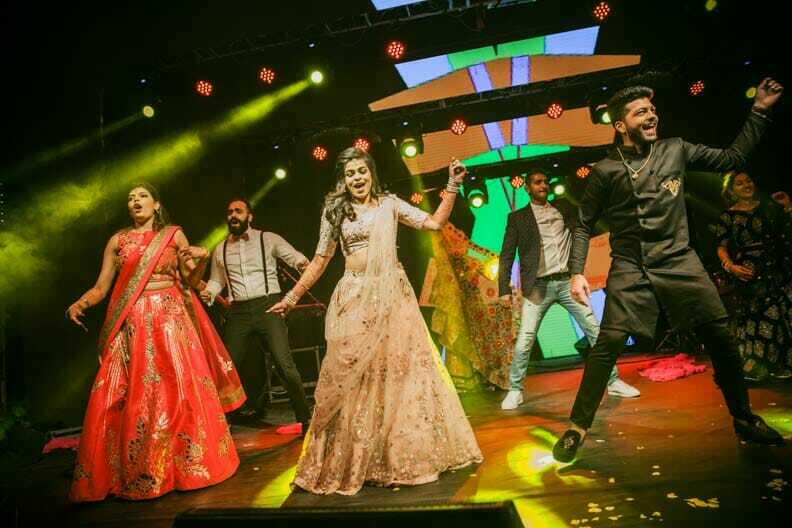 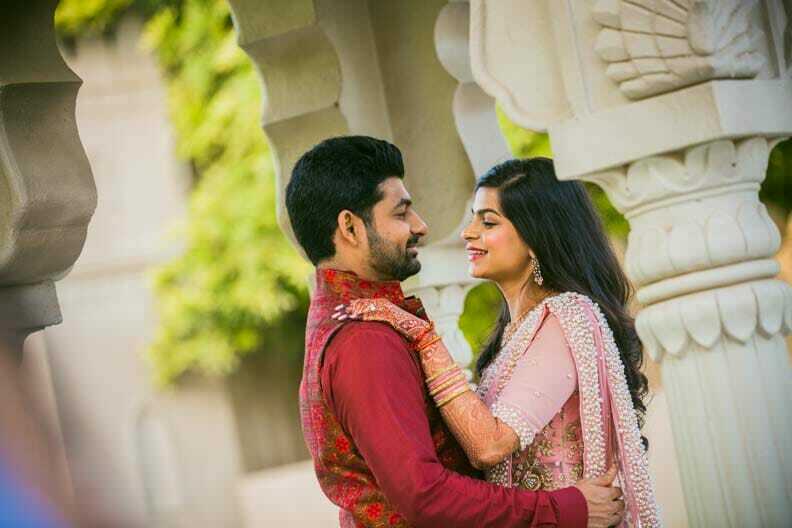 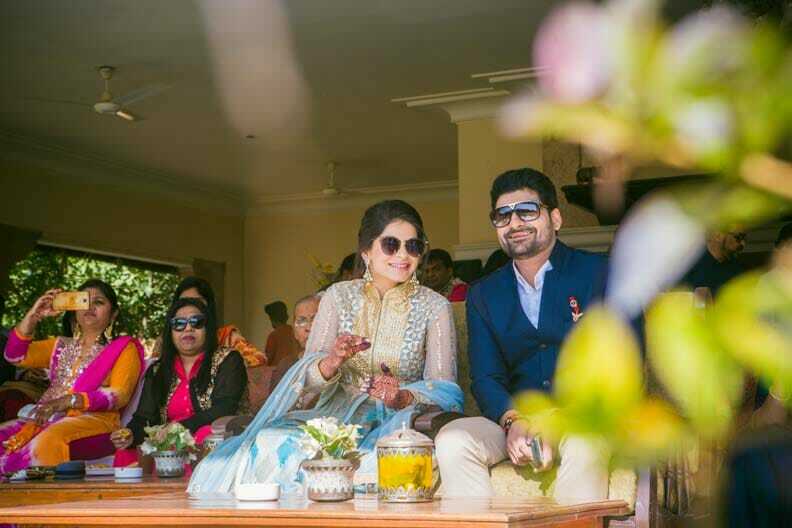 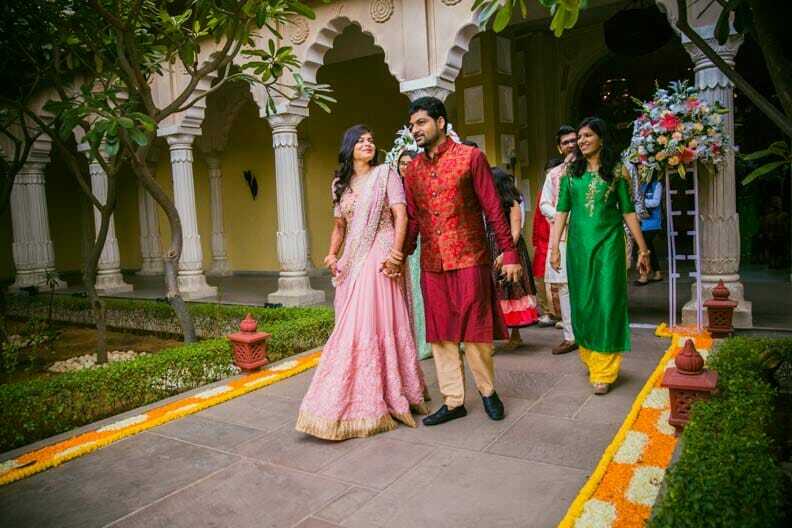 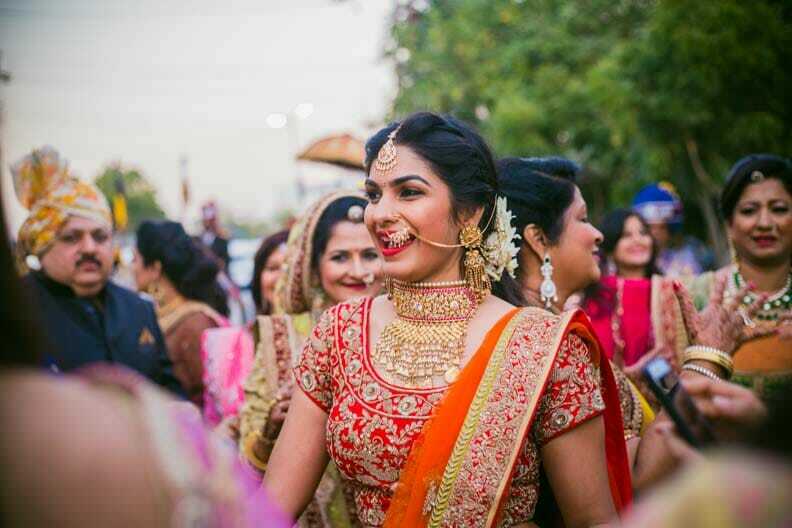 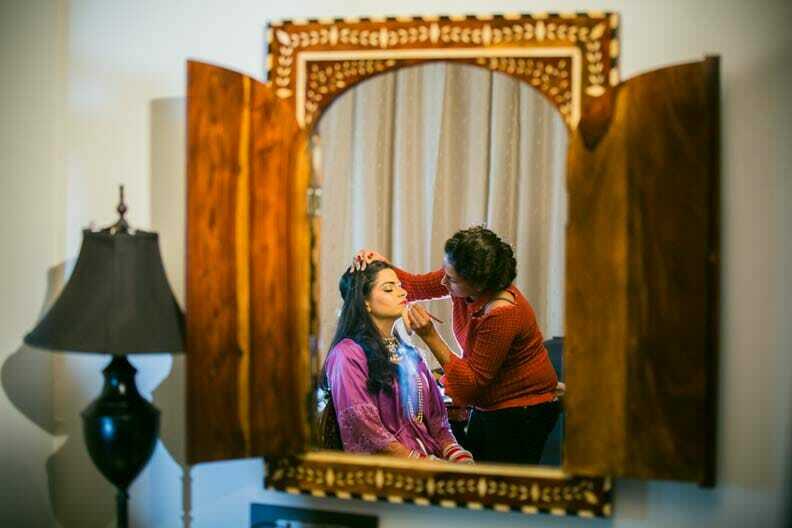 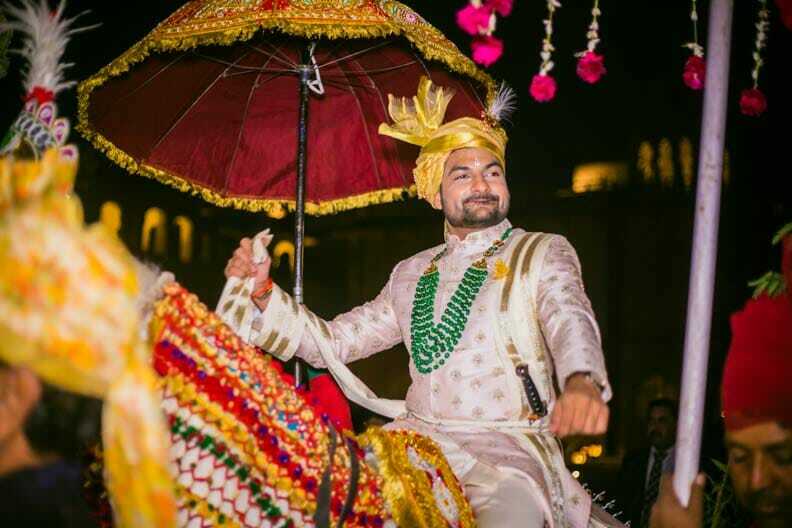 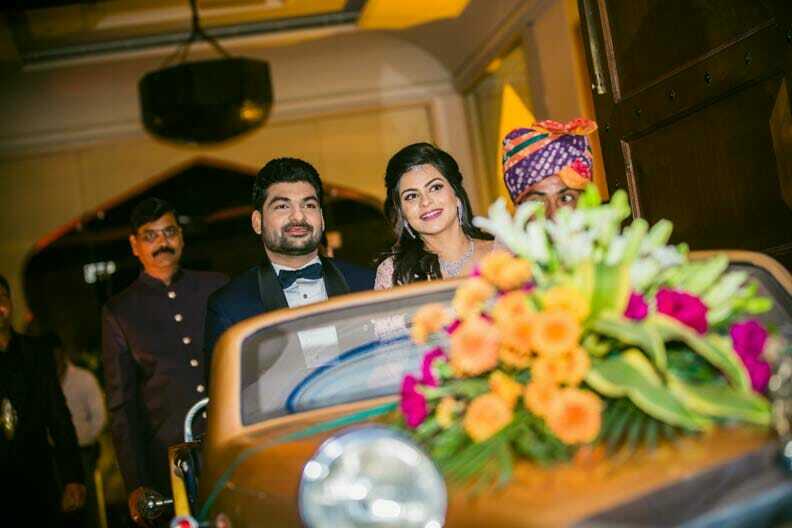 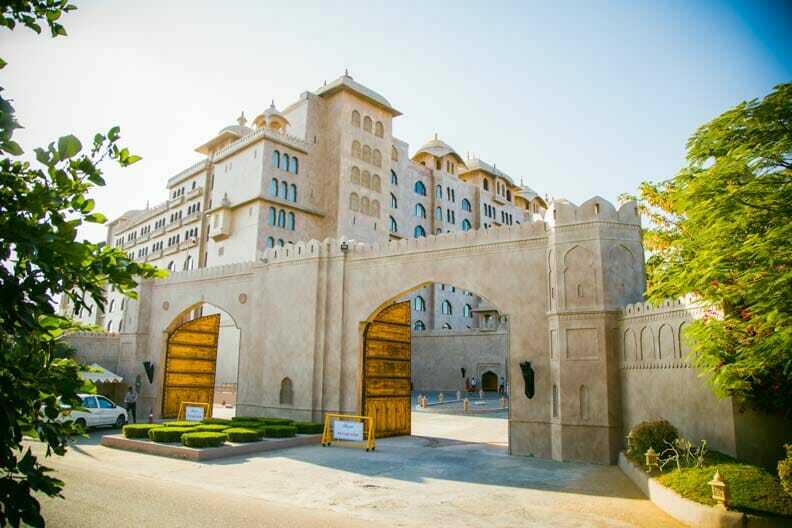 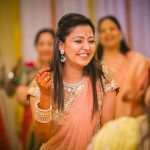 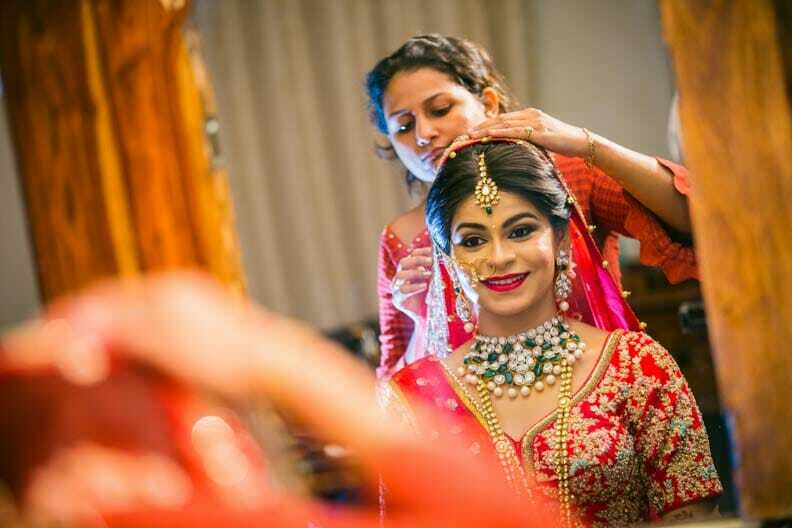 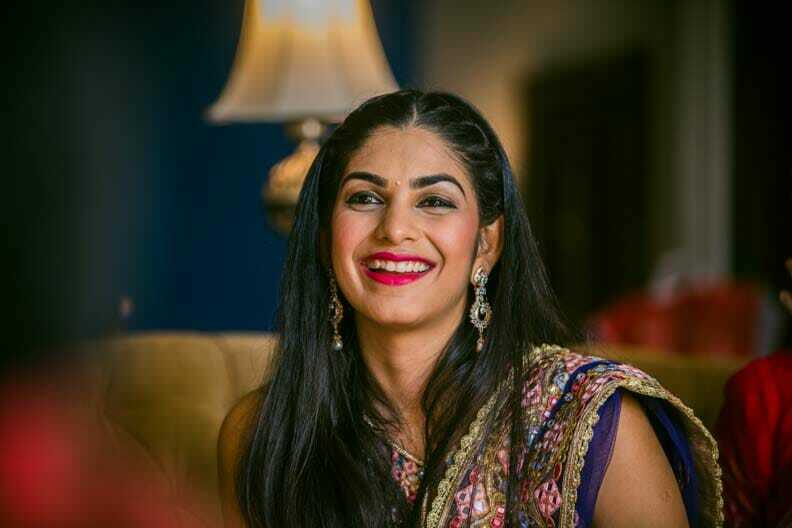 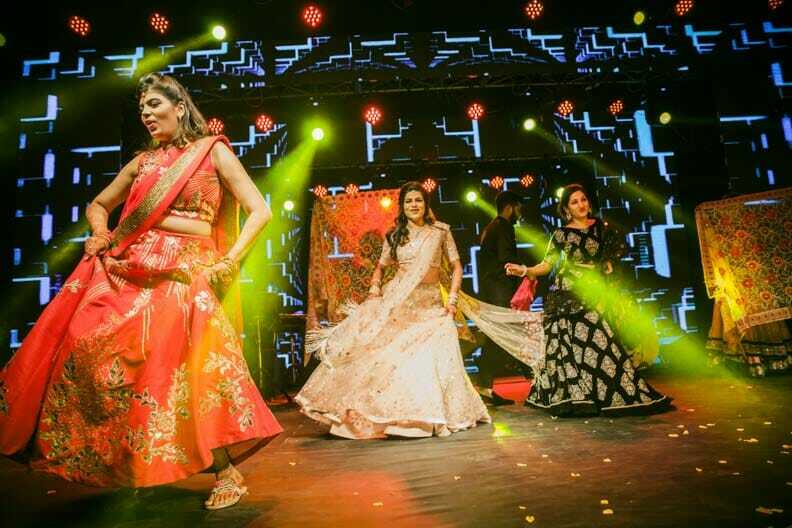 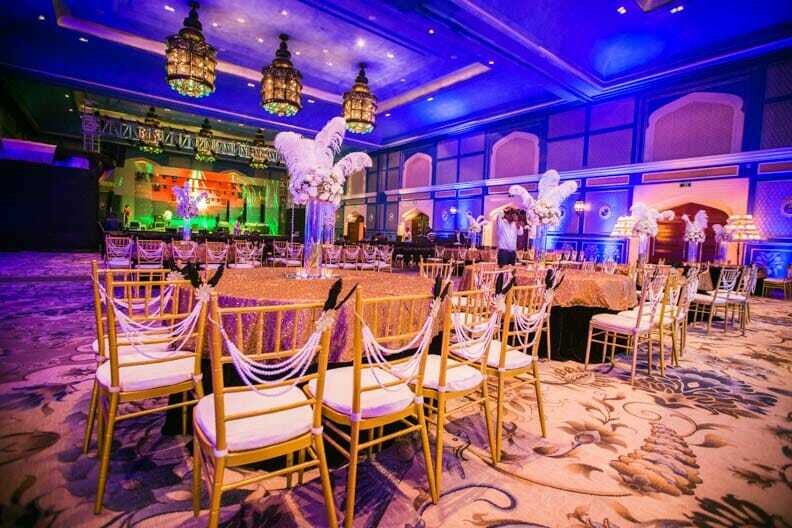 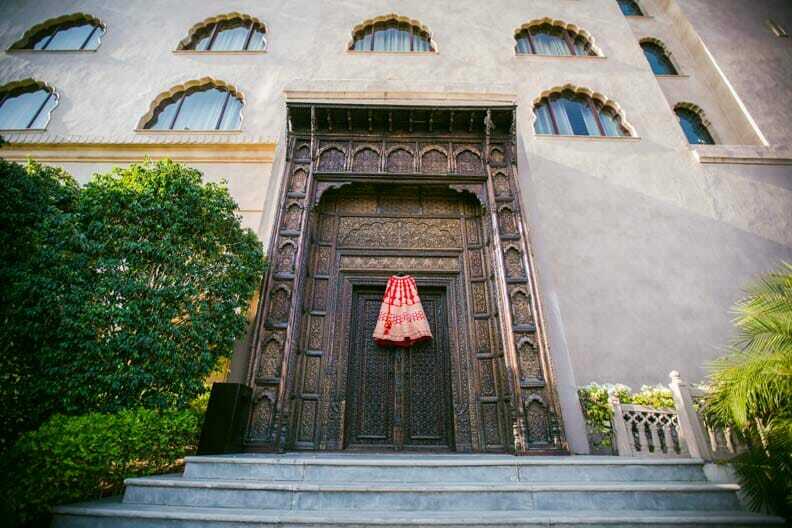 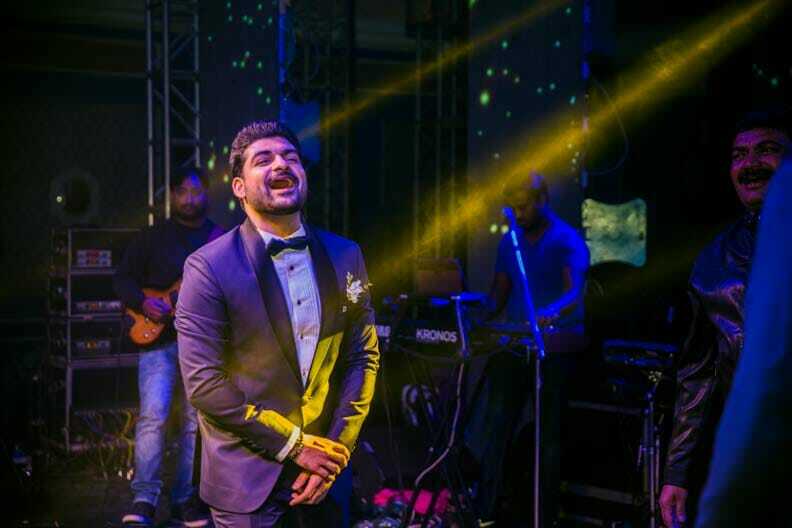 Purva’s and Dev’s wedding at the luxurious Fairmont Resort, Jaipur was a lavish affair spread over three days. 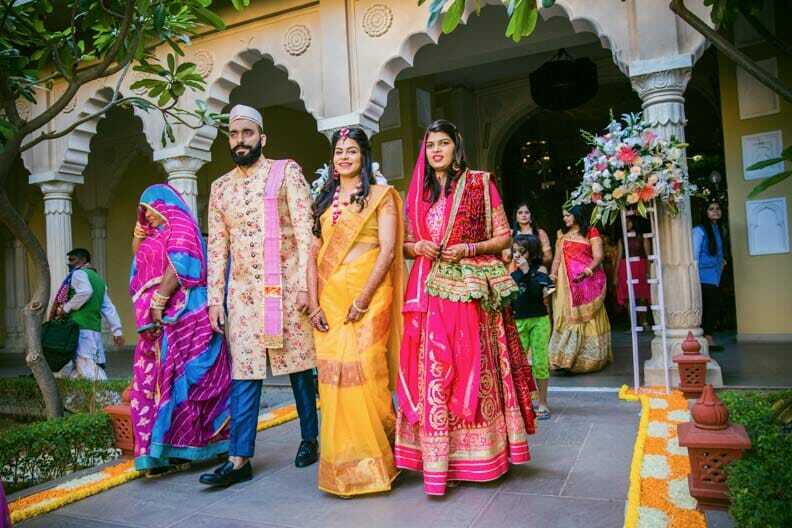 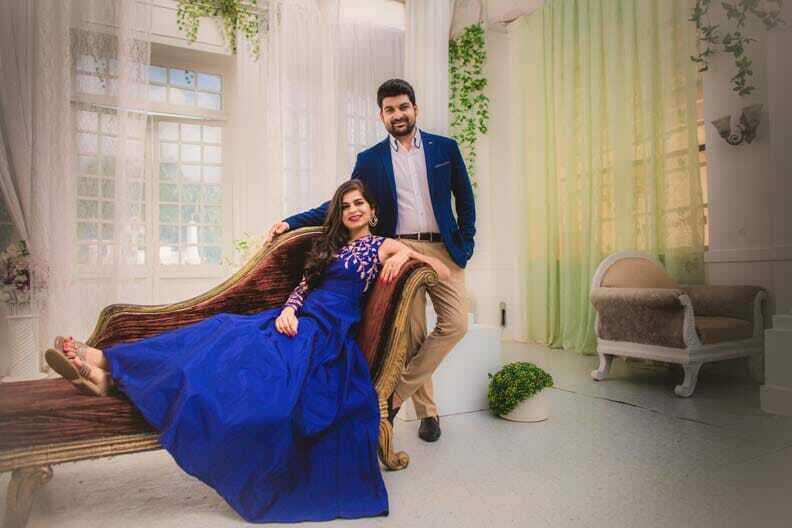 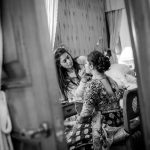 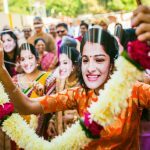 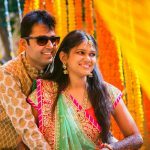 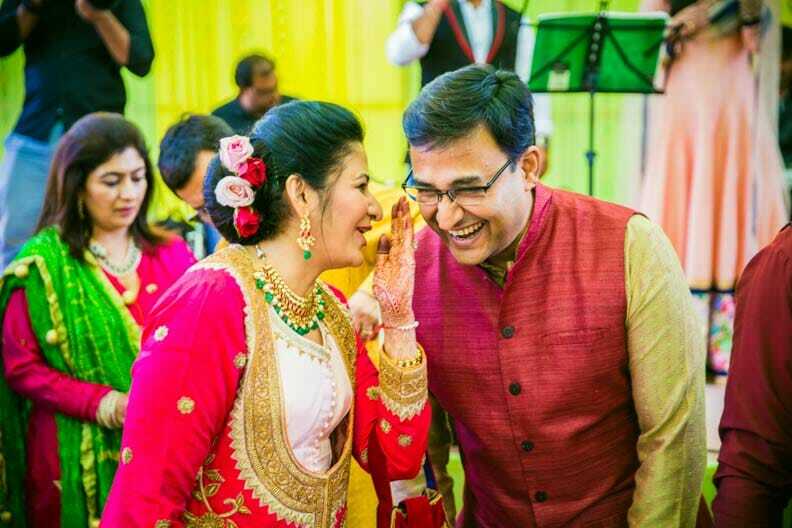 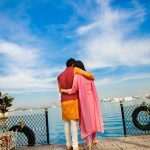 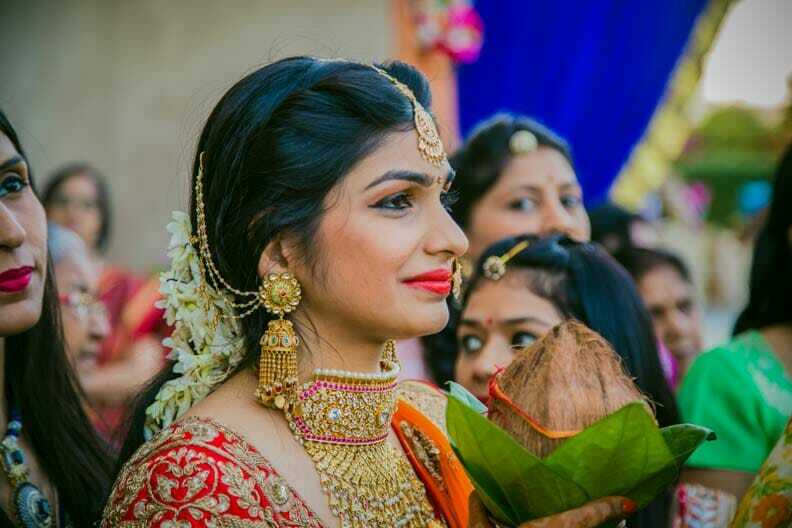 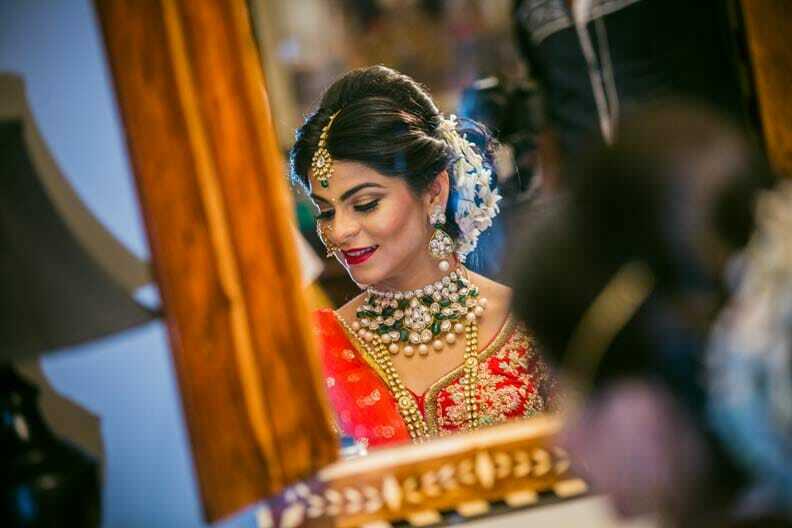 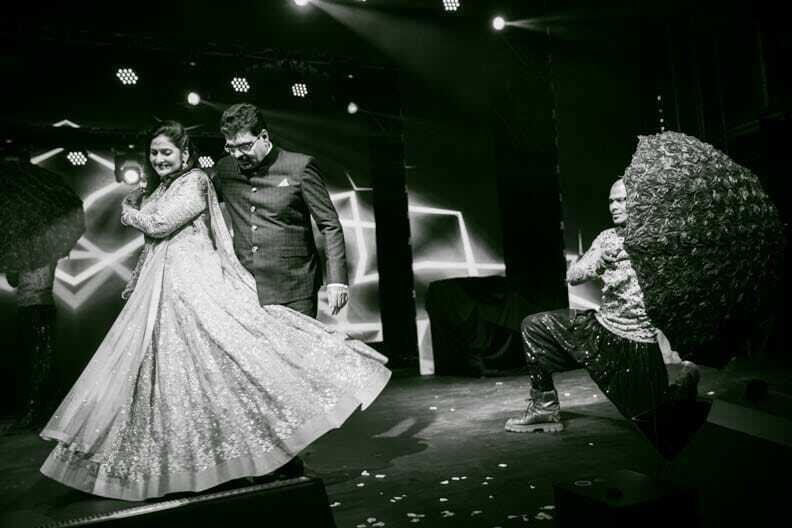 While every wedding is unique, this one was a perfect amalgamation of richness that Indian weddings exude and elegance this coy couple conducted itself with. 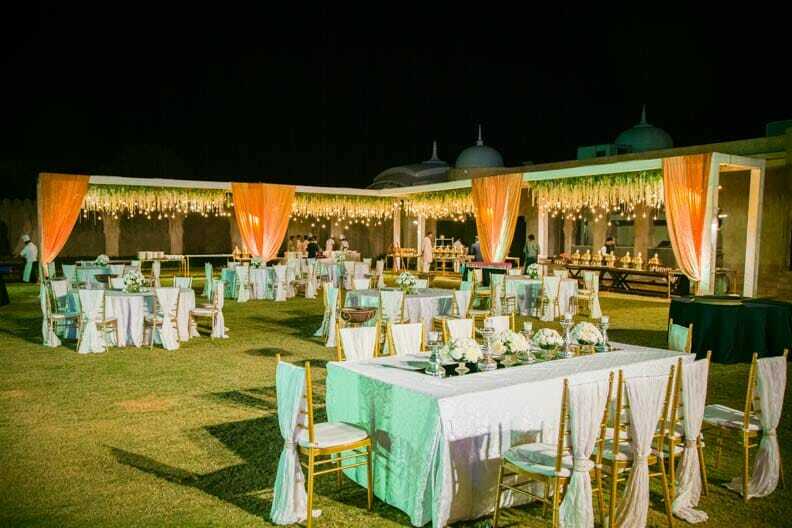 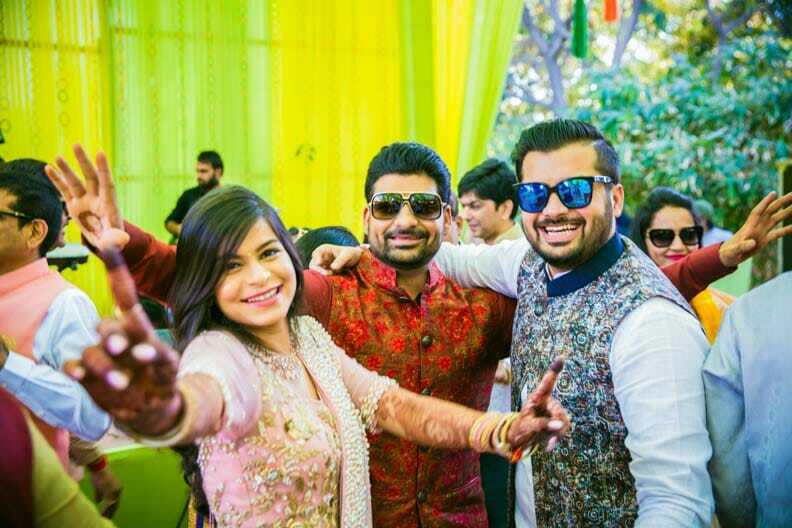 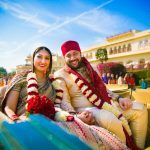 From the elaborate haldi ceremony marked with traditional Rajasthani performances and artisanal display of crafts, to The Great Gatsby themed sangeet ceremony, to the camel polo matches, this fun filled eventful affair culminated with a pool side picturesque exchange of vows followed by a lavish reception. 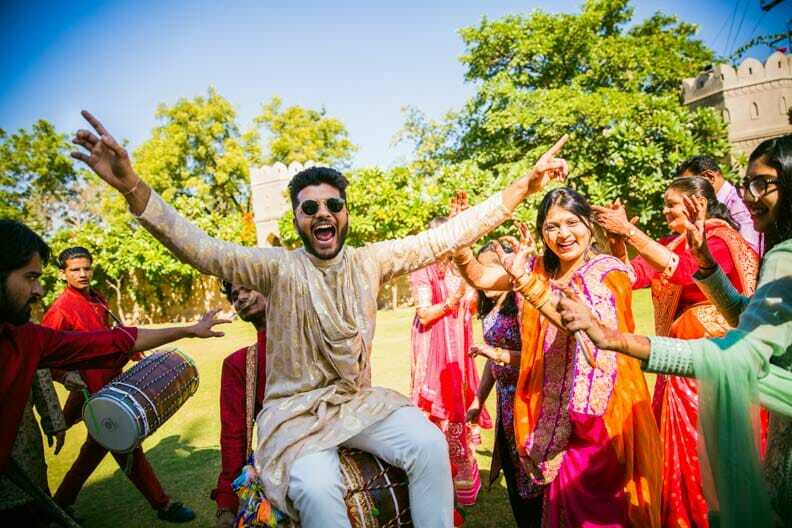 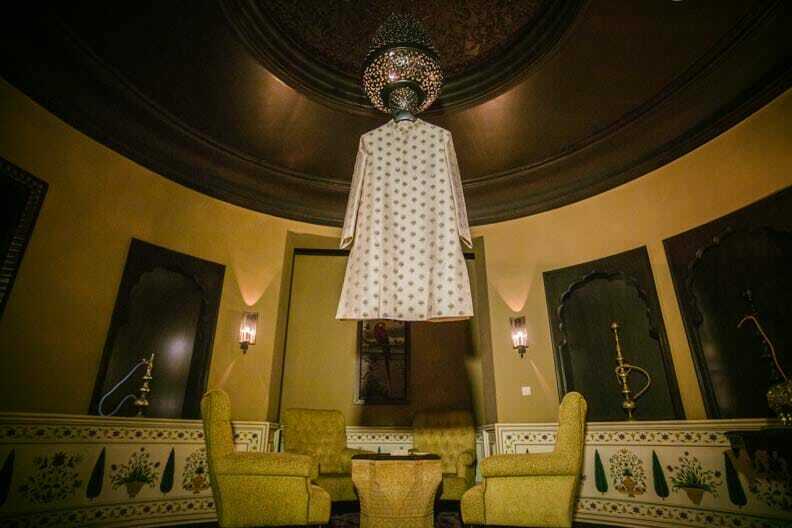 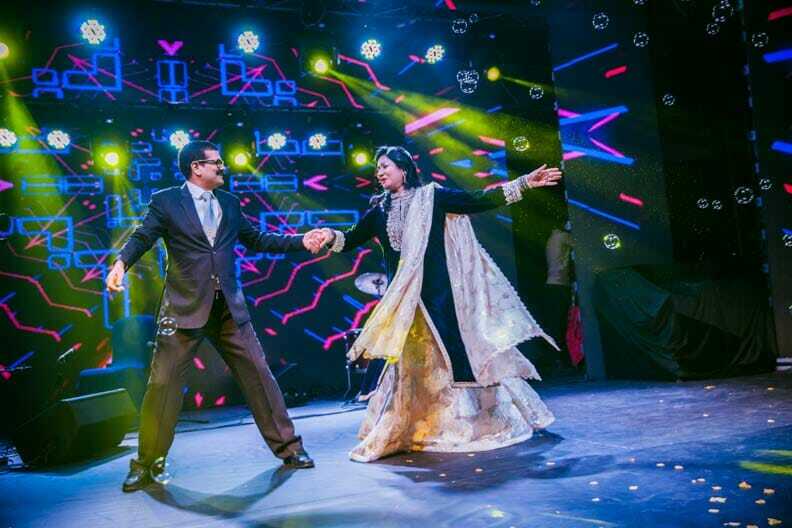 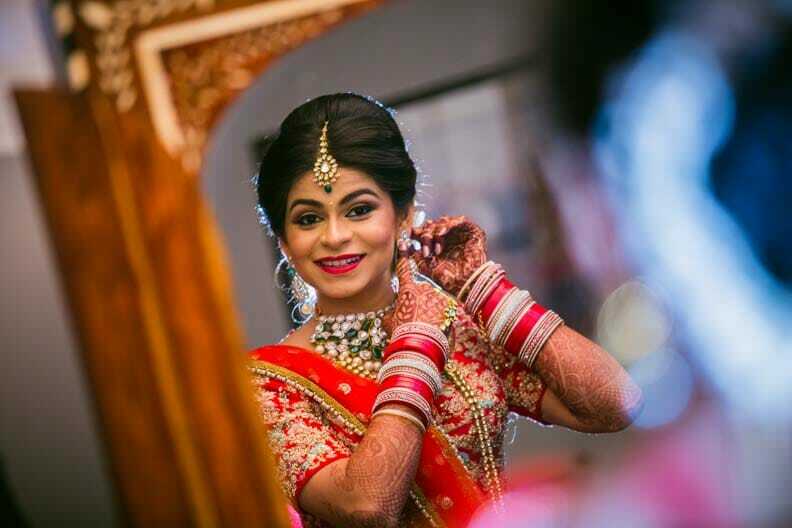 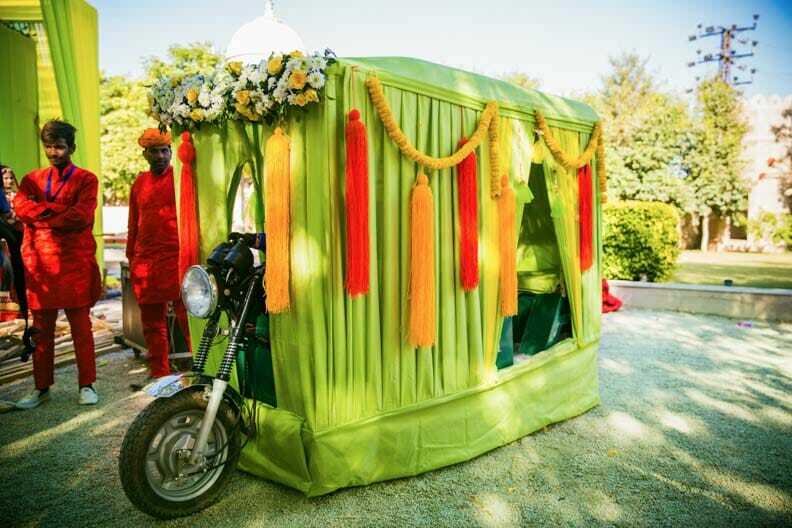 Come experience the grandeur of this classy Marwari wedding and mesmerize your senses with the beauty of their customs, attires and celebrate the solemn bond of love like never experienced before. 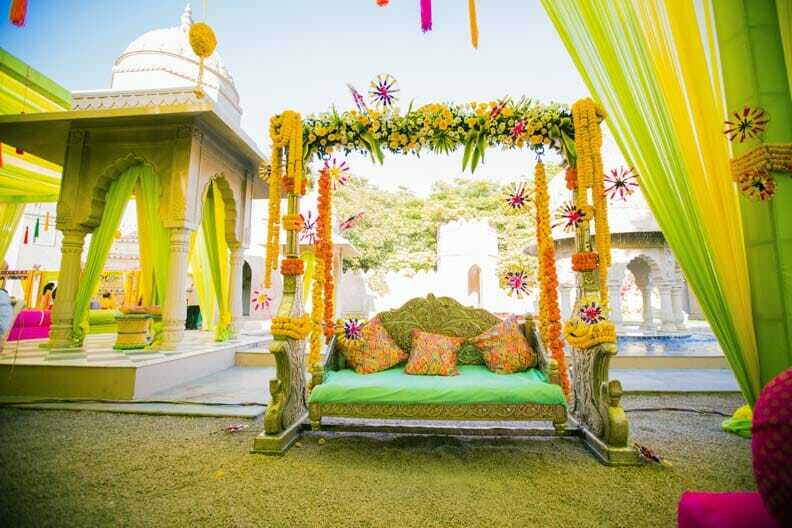 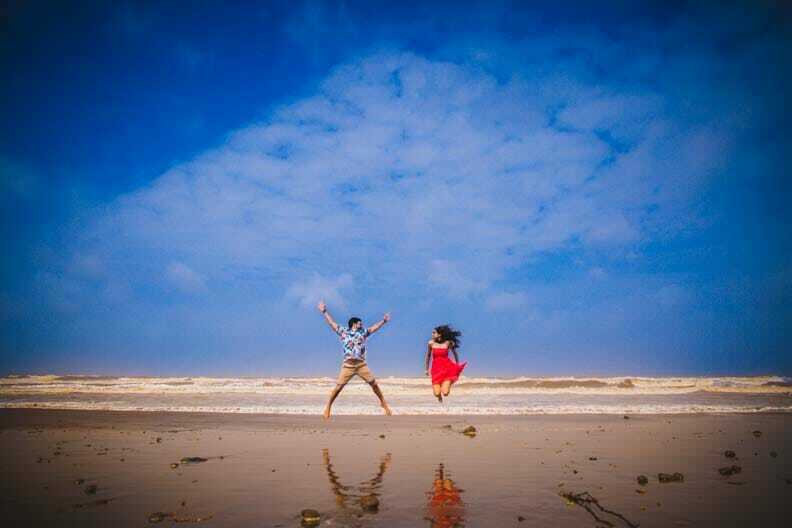 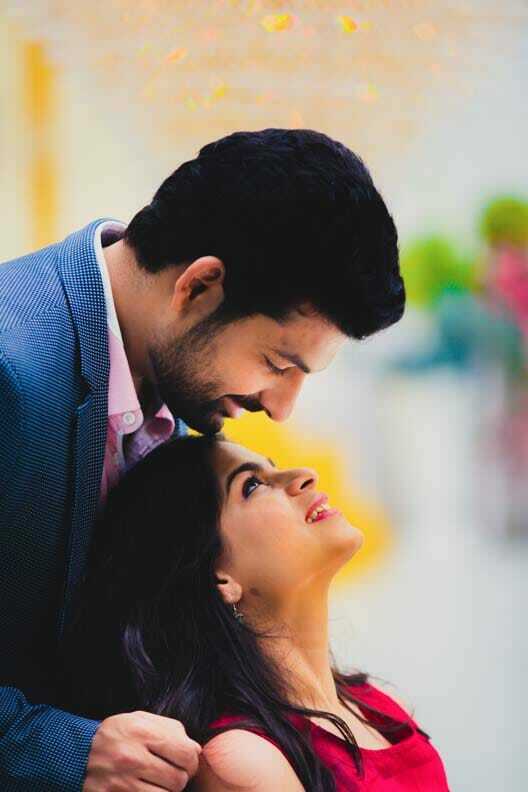 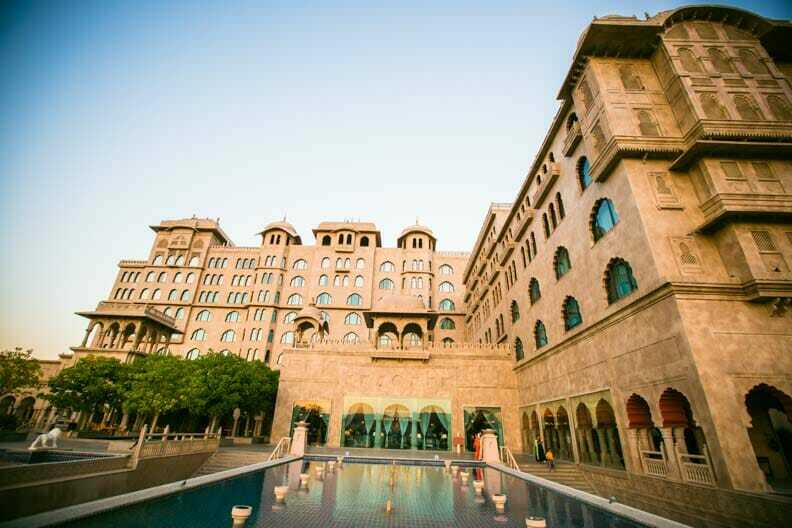 My wedding is on Jan 31st, 2014 at Borivali, Mumbai. 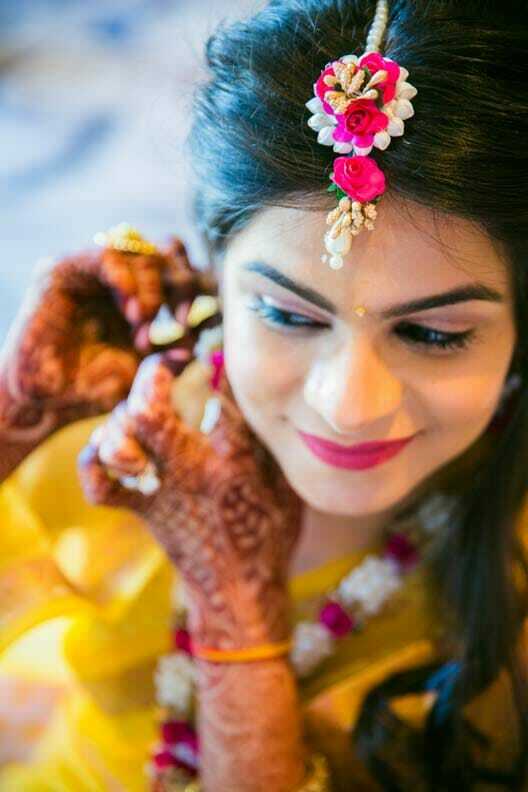 Pls let me know your availability and rates.